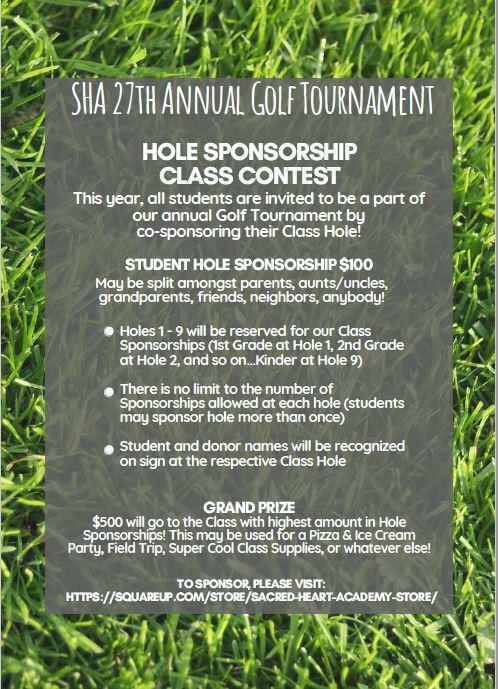 Win your class the $500 Grand Prize!!! Sacred Heart Academy provides preschool and K-8 education to families from Redlands, Highland, Loma Linda, Yucaipa, Beaumont, and other areas of the Inland Empire. 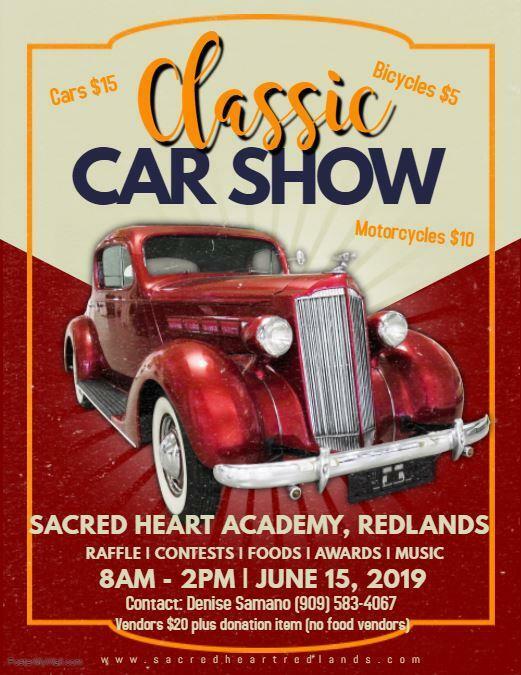 As a ministry of The Holy Name of Jesus Catholic Community, the school has been the root of excellence in Catholic education in Redlands for over 115 years. We have sent forth into our communities leaders who are strong Catholic Christians, effective life-long learners, self-disciplined individuals and compassionate caretakers of creation. See flyer & register now to secure your spot. All proceeds benefit Sacred Heart Academy. A copy of the 2018-2019 Parent Handbook will be sent out the first week of school. Parents and students are to sign the "Signature Page" of the handbook and submit to the school office by August 31st. We are pleased to announce our new uniform provider - School Uniforms by Tommy Hilfiger. Please see the attached order instructions, price comparison and website link on the school website. With great excitement the school office would like to inform all our SHA families of an attendance reporting change. There is now a designated phone line to report attendance. Please dial (909) 654-3191 when calling to report an absence or late arrival. Be sure to include the child’s first/last name, grade and reason for the absence/tardiness with your message. We appreciate your cooperation during this transition and encourage you to contact the school office with any questions or concerns at (909) 792-3958.